The class in Chinon at Jerome Lenoir’s cellar. From left to right: Shaunt Oungoulian, Diego Roig, Meredith Bell, and Sam Baron. Photo by Junichi Fujita. Recently, I had dinner with my partner’s uncle, Dan Baron, and he opened a bottle from his new label, Complant. Vinified in Napa, California, from fruit cultivated in the Santa Lucia Highlands of Monterey County, that Pinot Noir was one of the brightest, most lithe California wines I’ve tried. 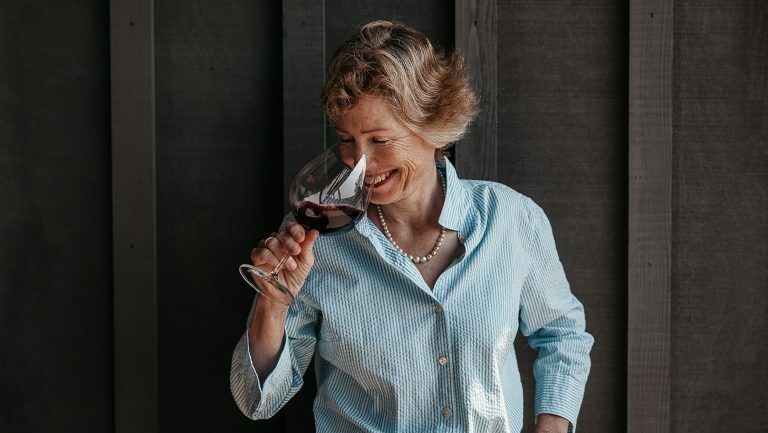 Dan has always been a Cabernet man, and until his retirement in 2017, he was a conventional winemaker in his role at Silver Oak Cellars in Napa’s Oakville. Yet here he is, making low-input, spontaneously fermented Pinot Noir. What gives? I’ll tell you what: his son, Sam. 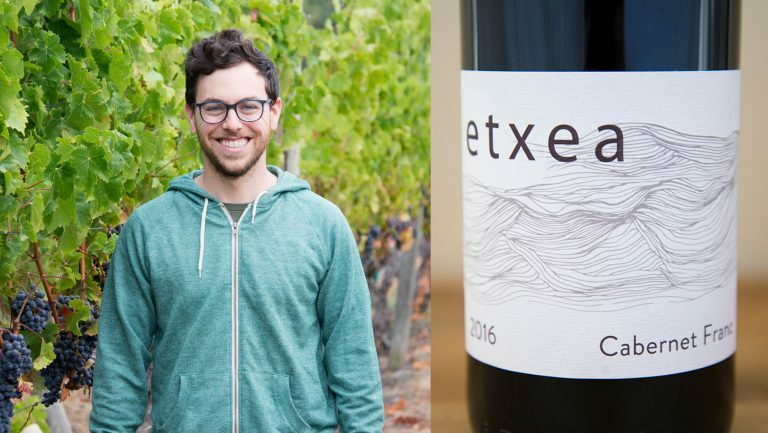 A graduate of the University of California at Davis Department of Viticulture and Enology, class of 2012, and one of the founders of the upstart Living Wine Collective in Orinda, which created the natural labels Les Lunes Wine and Populis, Sam is now making wine with his father—and the new-generation Davis grad is having a profound effect on the practices of the earlier generation of Davis grad (class of 1978). That’s just the most intimate example I know of the potentially transformative impact of a particular group of enology students who were all at U.C. Davis in the early 2010s. The crew includes, among others, Les Lunes’ cofounders Diego Roig, Shaunt Oungoulian, and Martha Stoumen, who now makes her eponymous label in Sebastopol; Junichi Fujita, who is establishing a permaculture vineyard in Oregon’s Willamette Valley; Meredith Bell, who works at the Willamette’s Craft Wine Company, where she also produces her own Statera and EST labels; Byron Elmendorf, who cofounded the tiny Clime Wines in the Sierra Nevada Foothills; Napa-based Farella Vineyard winemaker Ryan Pass, whose side projects include Pass Wines, which will have its first release in 2020, and the Basque-influenced Etxea Wines in Napa; and Adrienne Ballou, who is making her own Lightsome Wines while working at Southold Farm and Cellar in Texas Hill Country. Together, these young producers are changing the traditional Davis trajectory. 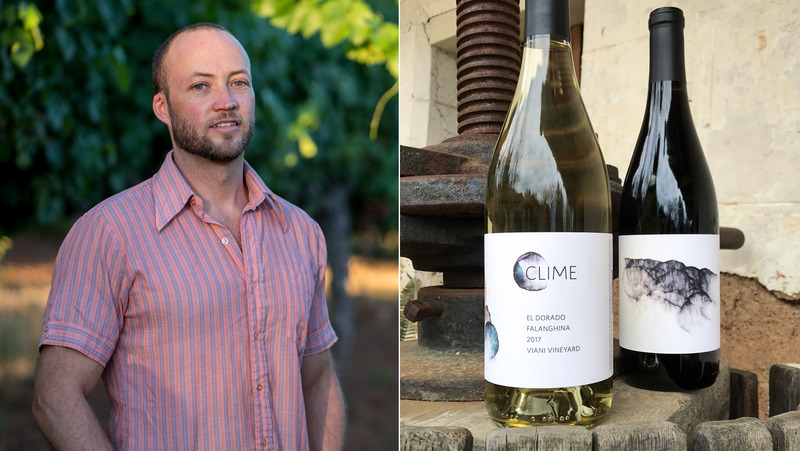 Rather than working their way up through the ranks by making conventional wine at brand-name wineries, they’re doing their own thing—producing micro-label, minimalist wines from grapes that, in many cases, they’ve farmed themselves. 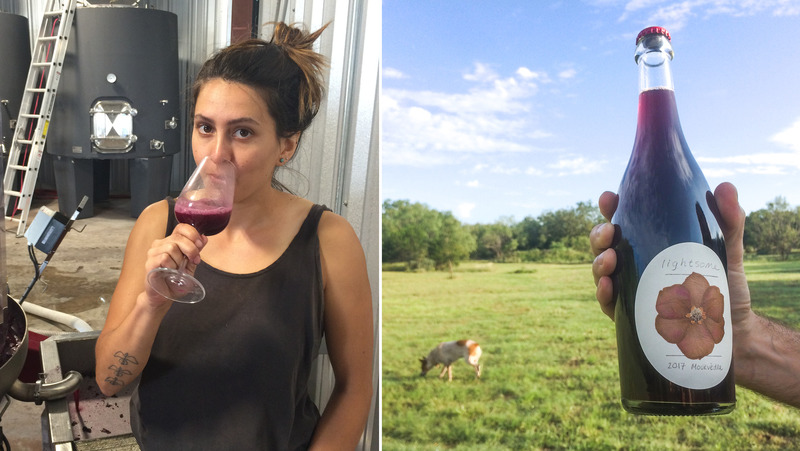 In the process, they’re upending expectations of natural wines. Using their education to make technically correct, low-input bottles, this group represents an exciting new direction for American wine. This group wanted to experiment, travel, get their hands dirty in the vineyards, and taste all sorts of wines. Some of them, like Stoumen, who grew up in the “hippie enclave” of Sebastopol, came steeped in an ethos of natural foods and farmstead living. Others were working on second careers and had enrolled with an exploratory mind-set. 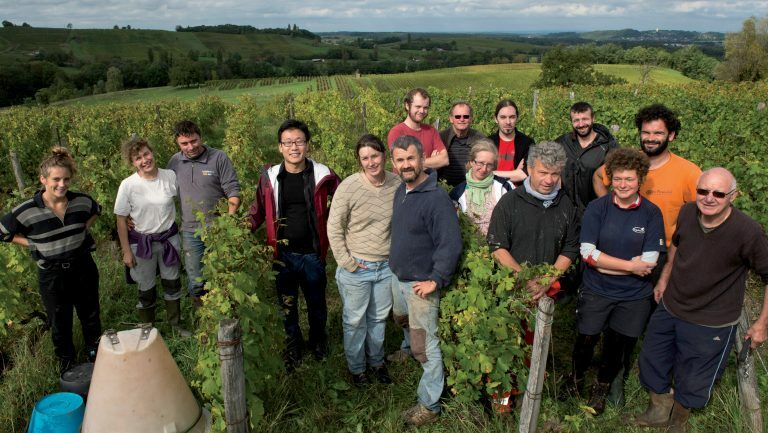 They all developed a desire to make small-batch, unmanipulated wines of their own. Byron Elmendorf. Photo courtesy of Byron Elmendorf. In retrospect, that’s debatable. Baron says he doesn’t feel his cohort influenced other students. 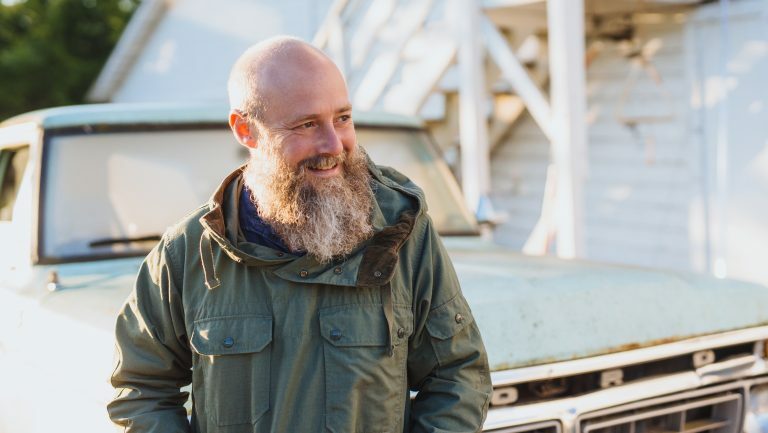 And in fact, he says, “There was a contingent that thought we were really pretentious.” But Baron and his pals were indeed charting their own course at Davis—one that led them to natural winemaking. Contrary to the stereotype, the Davis professors encouraged these inquiries. 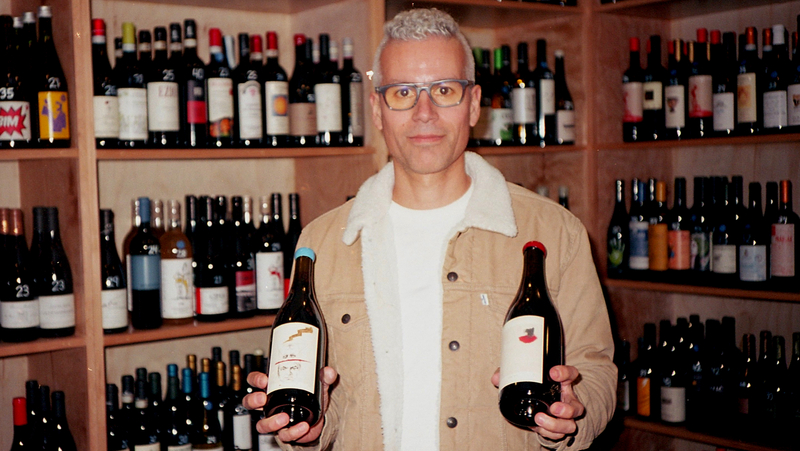 Victor Martinez (M.A., 2012) is the co-owner of Ardor Wines, the first natural-wine shop in Portland, Oregon. His 375 labels include those of his Davis chums. “Whether you’re making natural wine or selling it, when people hear you went to Davis, they’re shocked,” he says. “They say, ‘I thought that was the Gallo-making process. What are you guys doing in natural wine?’ We often have to explain that just because you go to Davis, it’s not like you’re indoctrinated. It’s more that you’re learning the science. 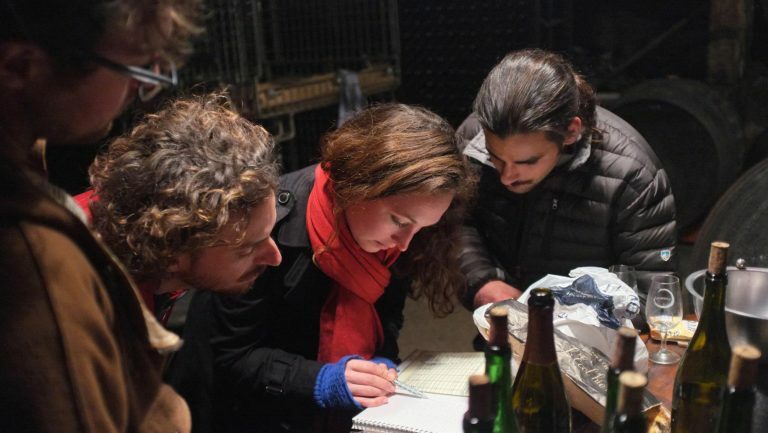 Professors were like, If you’re smart and asking good questions, you make it interesting for us.” This was the case even when the students were subverting the conventional winemaking norms. Victor Martinez. Photo courtesy of Victor Martinez. As faculty members were experiencing their own efflorescence, the students were evolving outside the classroom too. 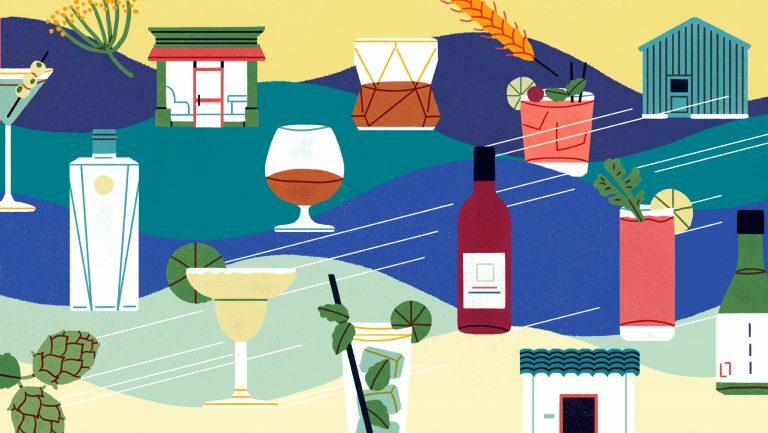 Much of that happened through drinking, as unfamiliar regions, natural wines, and artisan labels started filling U.S retail shelves. The university subsidized a blind-tasting group called Vitus. In 2010, Fujita ran it along with fellow student Dan Blakely, now assistant winemaker at Trefethen Family Vineyards. Fujita, who earned his second bachelor’s at Davis, in 2011, had tasted his first orange wine at a dinner at Manresa, the lauded Bay Area restaurant. The style was just hitting the mainstream, and Fujita was enthralled. “It was my gateway to natural producers,” he says. Inspired by it, he and Blakely hosted an orange-wine tasting. Les Lunes cofounder Oungoulian ran Vitus the following year, with classmate Bell. “Texture,” he says, “wild flavors wine normally wouldn’t attain—I thought, ‘What else is out there?’” The friends took trips to the Sacramento grocer Corti Brothers, where they picked up Georgian wines, and to the San Francisco wine bar and store Terroir, to taste through the Jura and the Loire. 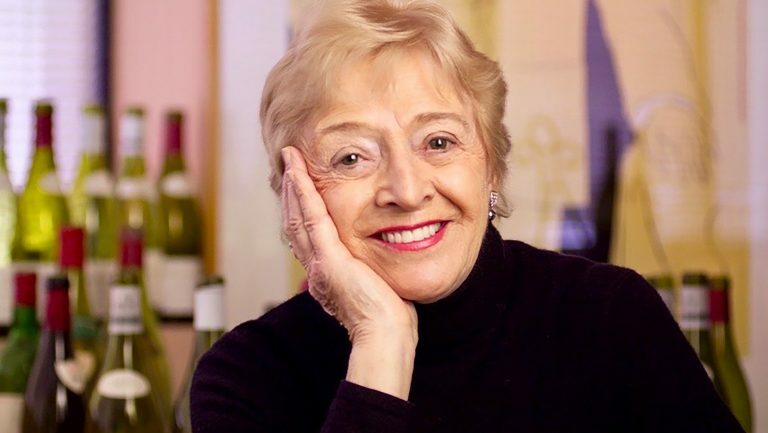 Martha Stoumen. Photo by Andrew Thomas Lee. Using a spectrophotometer to analyze sugar content during malolactic fermentation so that you know which barrels to stir or warm to avoid the volatile acidity that leads to vinegary flavors; learning how to inactivate bacteria that might otherwise feast on amino acids in the lees and turn your wine mousy; going back to the textbooks to develop a viticulture plan for a region with a shorter ripening season so you can achieve phenolic ripeness without acidifying—these young winemakers give countless examples of how science improves natural winemaking. 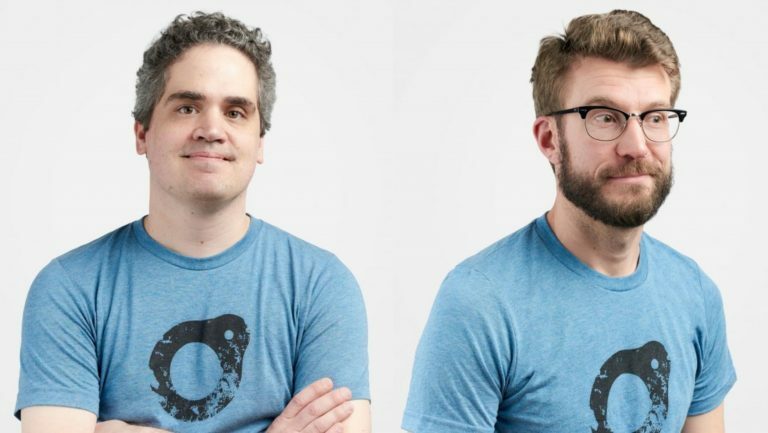 It’s a Davis approach to an anti-Davis style, explains Oungoulian, “a way to make vibrant, zero-additive, nonfiltered wines from biodynamic vineyards that are consistent and stable.” In natural winemaking today, it’s another distinguishing feature that makes this crew mavericks. After graduating, Fujita worked under the legendary Jura winemaker Pierre Overnoy, who, he says, “is able to make wines with no sulfur, filtration, or fining because he has respect for science.” Fujita traveled to Tasmania, too, to learn the principles of integrated ecological design on permaculturalist Bill Mollison’s farm. The harvest team at Maison Pierre Overnoy in the Pupillin village in the Jura region of France. Junichi Fujita, fourth from the left, is pictured here with the team. Photo by Wink Lorch. Says Stoumen, who counts Giusto Occhipinti, of Sicily’s celebrated Azienda Agricola COS, as a mentor, “I know winemakers who are getting into natural wine, but they haven’t worked for natural winemakers in France and Italy, so you get more of a mixed bag. 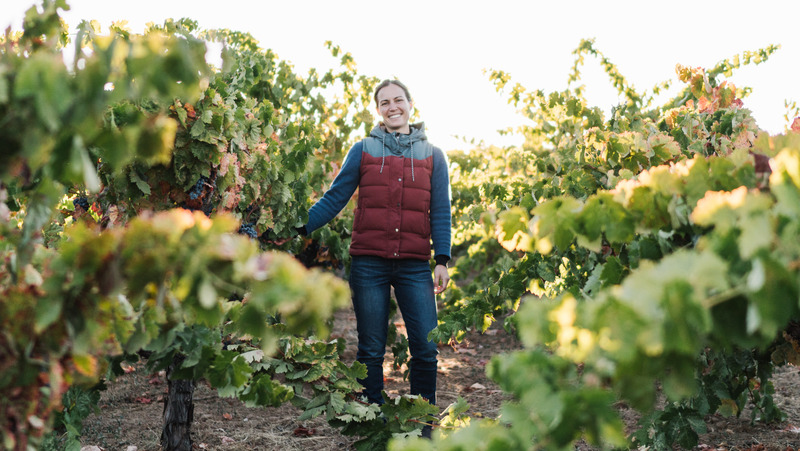 For our cohort, it was a given that we were going to learn from these people first.” Roig and Stoumen ran cattle and pigs through the vineyards at Domaine Léon Barral in Languedoc and pitched in for harvest at biodynamic Seresin Estate in New Zealand. Meredith Bell. Photo courtesy of Meredith Bell. Bell puts sweat equity into the Willamette vineyard that grows her grapes. And the pushback Roig and Oungoulian once got from landowners has subsided as they’ve proven that they can farm organically. Today, the two partners work 20 acres and are poised to take over another 10 in Napa and Sonoma. Both Pass and Elmendorf buy organic Merlot grapes from them. Adrienne Ballou. Photo courtesy of Adrienne Ballou. Though some employers might be threatened by an assistant’s side project, forward thinkers like Stock welcome such initiative. “It made Chad more attracted to me because you know what’s on the line if you’re doing it yourself,” says Bell. Partially whole-cluster, with no additions save for a bit of sulfur, her EST Pinot Noir is super fresh and vibrant. 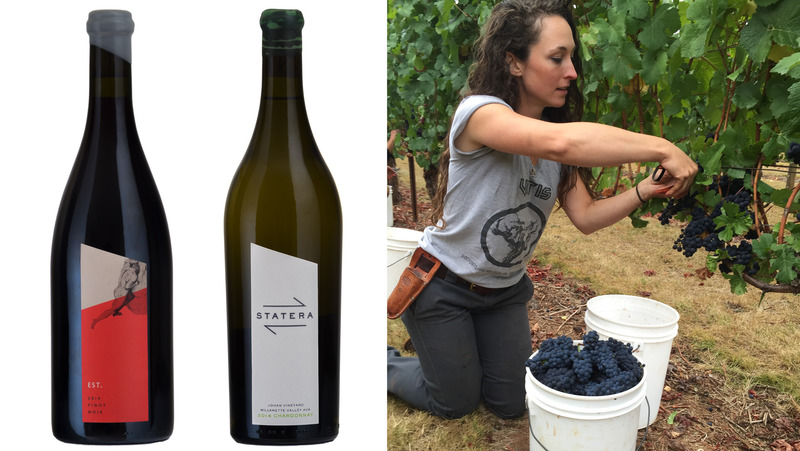 She’s also the first winemaker in the Willamette Valley to produce a Chardonnay-only label—Statera. Ryan Pass. Photo courtesy of Ryan Pass. Fujita’s release this year will be a flor-influenced sparkling Pinot Noir. Stoumen’s Teal Drops Rosé, barrel-aged on the lees for a year, is like a bright, saline rehabilitation of white Zinfandel. “The response was more amazing than I could’ve imagined,” says Stoumen, who quickly sold out her first release of sparkling wines and reds in 2017.